Nestling along the banks of the river Noyyal, the age-old city Coimbatore still stands proudly in the state of Tamil Nadu. Surrounded by the Western Ghats and parented by the river Noyyal, this city has always found its mention in the ancient scripts especially during the reign of Vijayanagar Empire. It is not just the ancient pride that the city beholds but Coimbatore is also popular for its entrepreneurship and industries. The rich culture of Tamil Nadu can be felt very close in the city. But when entertainment and leisure, the city comes up with a collection of hues. The city amuses its visitors through a number of ways but the best is the water parks. 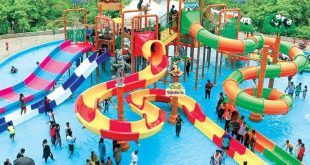 The water parks of Coimbatore are absolutely outstanding and stand for a class. Let us explore better about what the city has for us. Do you want to visit and experience Asia’s premier water park? 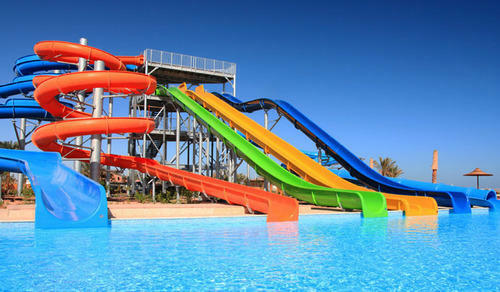 Then come ahead and step into the top-rated water park of all times, the Black Thunder water park in Coimbatore. The unbelievable attractions and facilities that you find here will not be found anywhere else in the country. You will feel the aura of high energy as soon as you step into the park boundary. The colorful theme water park in Coimbatore will make you forget about the real world. Let’s start the trip into the world of dreams that you as a child would have imagined visiting. 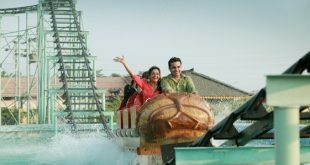 Modeled along the lines of the famous water kingdoms of Mumbai and Delhi, one will find a plethora of water activities and rides at Black Thunder Water Theme Park in Coimbatore. Situated over a huge area of 60 acres, one should start the tour in the park trying out the water rides. Jump, slide, hop, splash water, do anything to your heart’s content. The water body slides will bring an adrenaline rush. Get ready to bring out the exhilarating scream from the core of your soul while you take the water coaster rides. The tunnels and cyclone rides will bring the child in you alive. The artificially made, Lucky waterfalls are the highest in the country. Enjoy taking a drip under the waterfall and groove along the music as the DJ plays the most trending hits. 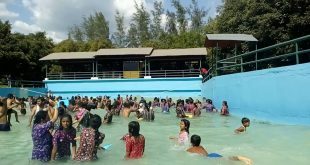 You will find the largest wave pool of the country right here in the premises of the water park. Take a walk beside the wave pool and let the waves wash away your stress and alleviate the energy levels in you. The dry rides are yet to go. There is a huge lake in the park with boating services. Indoor games are very interesting to look for and you will definitely drool upon the variety of video games here. Without any second thought, this is the best water park in Coimbatore. 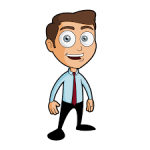 Minimum 20 Students from same College / School are eligible for concession. 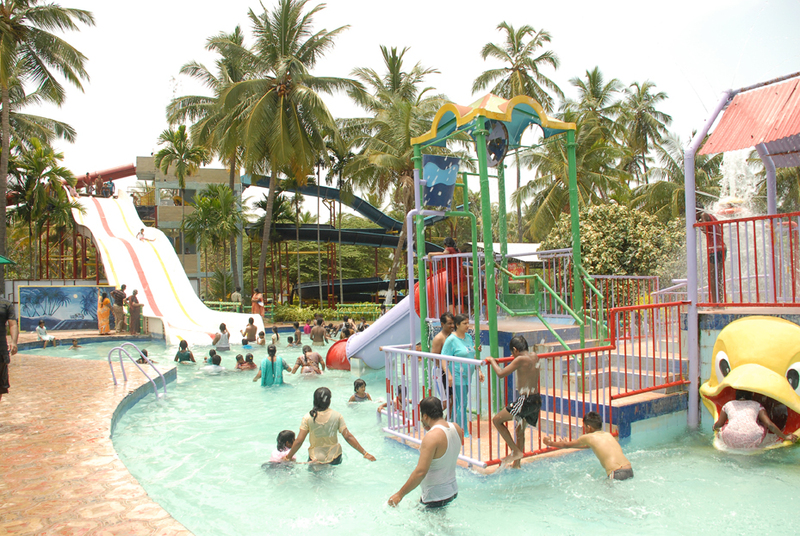 The Maharaja Water Park is one of the most popular theme parks of Coimbatore. The water park is a beautiful place located in a serene environment. It is mainly the location at the outskirts of the city that allures a number of people. Lush greenery is the first thing that enchants the visitors. The park sprawls over a huge area of 15 acres and has all the modern facilities in it. You can start your tour in the park enjoying the various water rides. The water rides are electrifying. Get set to be thrown up in the air at the different water rides and shout aloud with a joyous cry as you dive directly into the deep swimming pool. Stimulate the rush of adrenaline in your body and try out the funnel tunnel and cyclone rides. The water activities are totally fun. You can team up with your favorite companion and play volleyball in the pool too or you can just take a relaxing swim through the cool waters. Bask under the sun on the soft meadows as the fountains sprinkle water. Rejoice the presence of nature in the park. 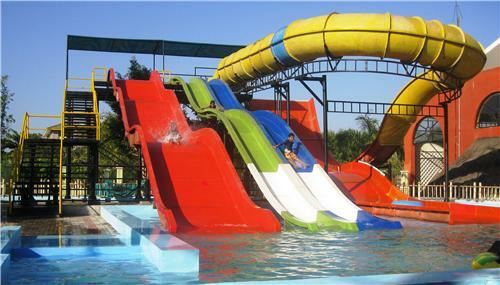 The Maharaja Water theme park in Coimbatore also provides services for the kids to have penultimate levels of fun. And you need not to worry about the safety of your precious ones, the staff and lifeguards have an eye set on you. The dry rides and land activities are yet major attractions in the park. The Maharaja water park Coimbatore contact extends food services through the chain of restaurants that serve multi-national cuisine and fast foods. The amusement park has a golf course. So, if you have not tried your hand upon the game, do it now. The multiplex here showcases the trending movies that will keep you entertained further. The management of the water amusement park in Coimbatore organizes a number of events very often in their auditorium. You might just get lucky to find out your favorite star here! Summers are a perfect time to visit the park, although the services are active all throughout the year. 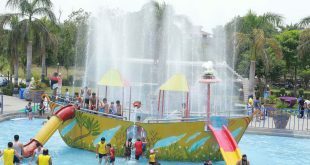 This park deserves to be listed as the best water theme park in Coimbatore. It is the wish of every parent to see a smile of satisfaction on their kid’s face. 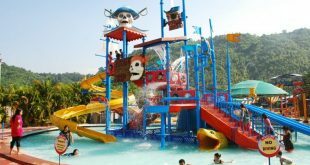 The Kovai Kondattam water park of Coimbatore is one such place that not only knows to satisfy the kids’ souls but also bring out the child-like attribute in you alive. An ideal place to spend the most precious moments with your favorite people is right here. The water park at Coimbatore is dedicated to the fun for kids. The small kids and toddlers will find this place like a fairy tale come true. Numerous activities and rides can be found here. The perimeter of this water theme park in Coimbatore is decorated with themes and appears to be full of energy and hues. While the kids have their happy time in the kids’ zone, you can try some adventure at the rock climbing wall. You can compete with your friends to find out who is the fittest amongst all. Your kids love to drive cars right? Let them have this opportunity to drive the dashing and bumping cars and hit whosoever they target. The swimming pool is yet divided into two parts, for the kids and adults. Swim as much as you want and relax while you take a sip of cold drink in the pool. The wave pool mimics the feel that you experience whilst in the seashore. 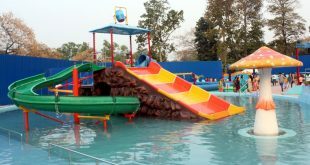 There are numerous water games too that the park management organizes. Find if you are lucky enough to win a prize! Dance under the showering rain along the exciting musical beats played by the DJ. The restaurants assure to satisfy your taste buds and hunger. Wondering the price that this water theme park in Coimbatore would charge for such amazing levels of fun? Fret not! Prices are absolutely minimal to the services here. You can take a choice to visit any of the above-mentioned water park near Coimbatore. The entertainment culture of Coimbatore is quite good and is different from the other cities. Create some special memories this vacation with your family and friends and do pay a visit to Coimbatore. The heartwarming city awaits you.